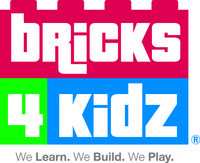 We want to help you build a foundation with your child. Only we mean a literal foundation! No, we aren’t going to throw house plans at you…we’re talking about a foundation in STEM. The study of Science, Technology, Engineering, and Math is an ever-growing field that our youth can actively participate in. While these fields were once excluded from the daily classroom curriculum, they have finally made their way to the top. If it sounds overwhelming, don’t worry just yet…we have your STEM solutions! First and foremost, let’s start with LEGO® Bricks. Not only are they the basis of what we do, but they are also a great way to explore STEM at home! They can take your imagination as high as you want it to go. You can free build items such as a holder for your forks, a robotic mouse for the cat to chase, or build derby cars and host your own race. Your imagination is the key here, so grab some LEGO® Bricks and start building! The great outdoors is another great place to get your STEM on. Learn about nature, build a fort, or make the largest Nerf gun battlefield in the neighborhood. Set up a station to build your own paper airplane or challenge the neighborhood kids to a competition. Use the driveway for messy science projects that can’t be performed indoors. Hop on your bike and learn some new tricks. All of these ideas are STEM activities! Using a computer is another great way to engage. Play online math games, research scientific studies, or browse for at-home science projects. You can even encourage your kids to develop their own video games through the power of coding! Not only is it a class that we teach, but there are some great learning tools available online. 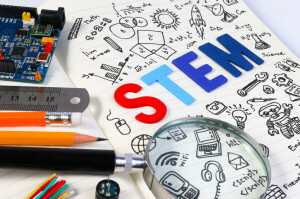 We hope reading this blog encourages you to go out on a STEM! What do you plan to do?